Tune into WMSE as DJ Tim Noble catches up with Milwaukee’s Locate Your Lips’ Jim Eanelli in advance of the band’s double CD listening party on January 5th at Shank Hall. Featuring the late great drummer and club owner Kenny Baldwin with Locate Your Lips double CD listening party. A night of fellowship, music and speaking. 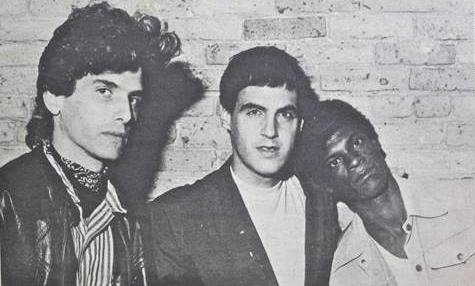 Come and hear the long lost unreleased studio and “live” remastered recordings of this pioneering Milwaukee 80s rock/punk/pop band with guitarist Jim Eannelli and bassist singer Andy Cavaluzzi.